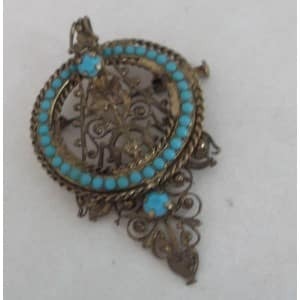 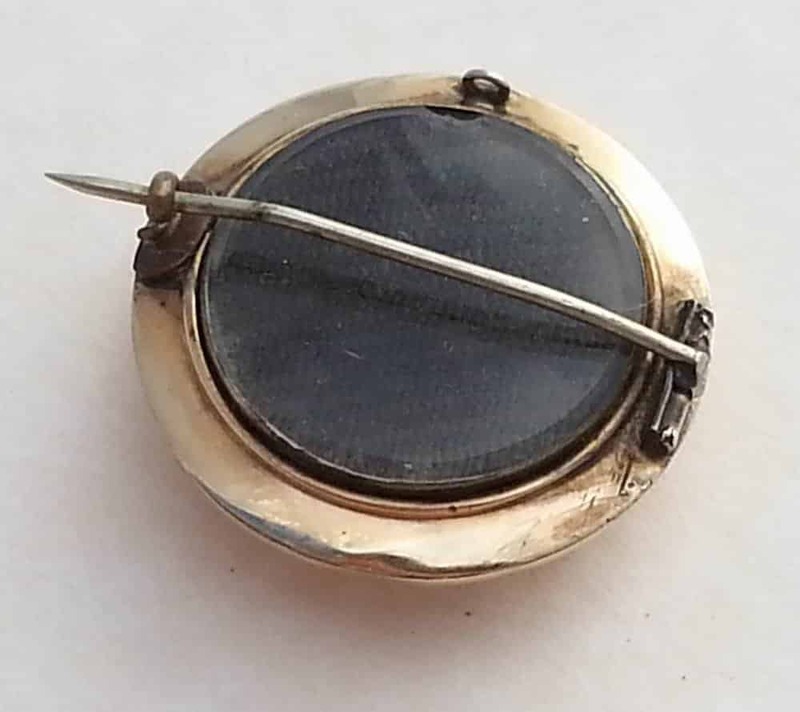 THE REVERSE OF THE BROOCH HAS A LARGE GLAZED LOCKET SECTION WHICH CONTAINS A PANEL OF TIGHTLY BRAIDED BROWN HAIR. 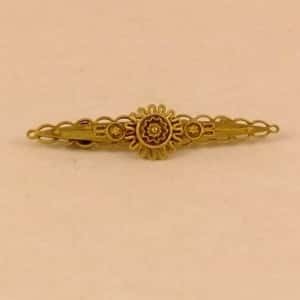 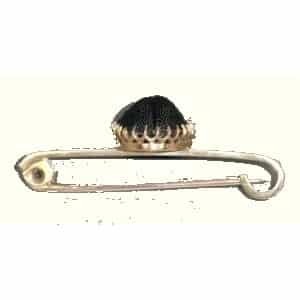 THE BROOCH HAS ITS ORIGINAL STEEL PIN AND A SMALL LOOP TO ATTACH A SAFETY CHAIN AND MEASURES 4 CM OR 1.5 INCHES IN DIAMETER. 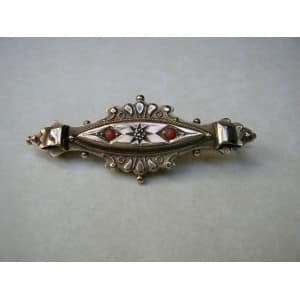 THE BROOCH IS IN SUPERB CONDITION AND A REAL SHOW OF VICTORIAN WORKMANSHIP. 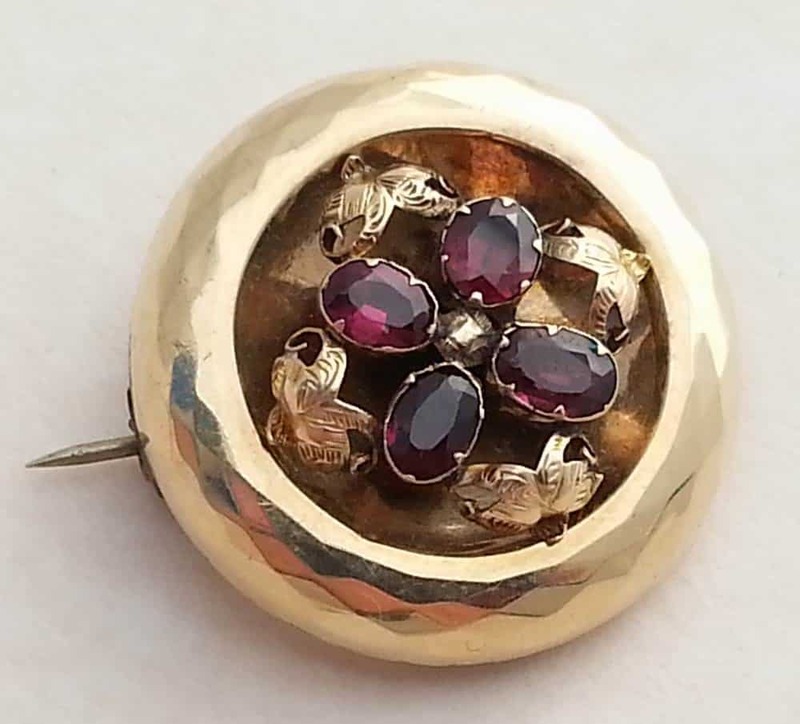 THE BROOCH HAS BEEN ELECTRONICALLY TESTED AND IS TESTING POSITIVE FOR 9CT SOLID GOLD.